Reigning Cadet Cup Champion Jordan Reynolds is ready for a step up into the Junior BRC and has bolstered his set-up with a piece of iconic rallying history. The EDSL Sport driver will contest all six rounds of the British Rally Championship in a Ford Fiesta R2T this season. As well as his early signal of intent, his recent acquisition of a new recce car has also caused a big stir in the service park. 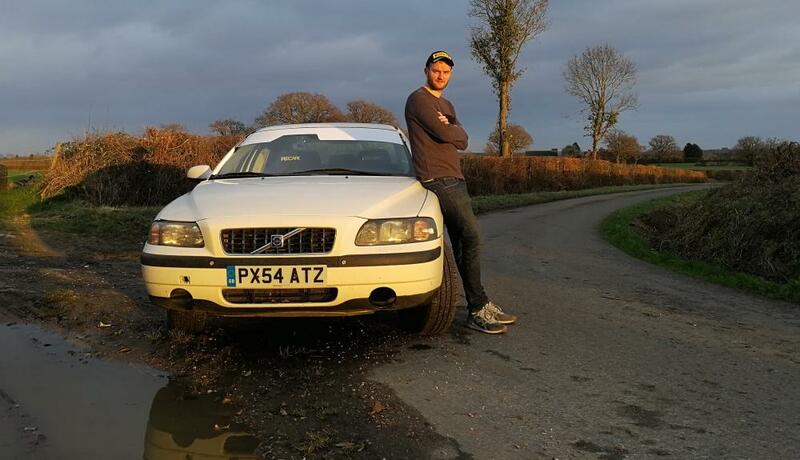 The Englishman has purchased one of the legendary Volvo S60s used by M-Sport on rallying events around the world. With a formidable piece of rallying history in his armory, Reynolds believes it will help his preparation and performance in the long run. “They are strong, tough cars and last year I lost a lot of time with the recce car on Wales Rally GB which meant we couldn’t complete all the stages. By stepping up in the BRC we had to step up our preparation, so we bought a tank! Gaining time this year will come from note preparation and having a car that can do the job will then properly help on the rally. As well as a 17-hour round trip to pick up his new machine, Jordan has finally sampled his R2T in anger and is enjoying the partnership with EDSL Sport. At the end of 2018, the Ford driver sampled the sealed-surface and won the Deepcut Stages. Much to the surprise of navigator Peredur Davies and himself. As for the 2019 BRC season, the 2018 Cadet Cup Champion knows it’s going to be a tough year, but is ready to fight in the ultra-competitive front-wheel-drive category.